Obtaining a Canadian passport can be a life-long dream. But when it becomes reality, one of the things it guarantees is visa-free travel to most developed countries. If you are reading this article outside of Canada, you may think that getting a Canadian passport is still just an unattainable dream. Perhaps you are right, but it doesn't hurt to try. If you are reading this as an undocumented alien living in some Canadian province, well, you have to start thinking of ways to make your stay in Canada legal. If you are reading this while living in Canada as a legal permanent resident, it may be a good time for you to consider applying for citizenship. Wherever you find yourself, just think of all the possibilities a Canadian passport can open to a new naturalized Canadian citizen for a gust of inspiration and motivation. Along with many other advantages, the Canadian passport will allow you to travel freely to developed countries all over the world. That's great, especially if you've always wanted to visit France, the UK or Germany, but couldn't without that so-hard-to-obtain entry visa. If you are already making travel plans, keep in mind, however, that the Canadian Citizenship Certificate is not a travel document. Sometimes, people get confused and think that the certificate can be used for international travel. That's not true. If you are returning to Canada from some place else and present anything other than a Canadian passport, you may not be let in. If you are flying or taking a ship back, you will even be denied boarding before you return. As a Canadian citizen you are immediately entitled to become a legitimate passport holder. But before discussing the advantages of being a Canadian passport holder, let's first examine who is eligible to apply for a citizenship. Who Can Become a Canadian Citizen? You must be a permanent resident of Canada, 18 years of age or older. Children under 18 and people adopted by Canadian parents can also become citizens, but they need to meet a different set of requirements. You must have lived in Canada as a permanent resident for at least three years (1095 days). The count begins on the first day after you become a permanent resident. Interestingly enough, if you lived in Canada before you became a permanent resident, each day prior counts as half a day of residence. Citizenship and Immigration Canada (CIC) offers an online Residence Calculator you can use to count your days of residence. Or contact CIC's Call Centre for more information. You must show that you understand Canada, including the rights and responsibilities of Canadian citizenship (voting, obeying the law), and demonstrate knowledge of the country's geography, history, government and national symbols. If you are under 55, you will be required to pass a citizenship test, which could be either a written test or an interview with a citizenship judge. You must know English or French, Canada's two official languages. 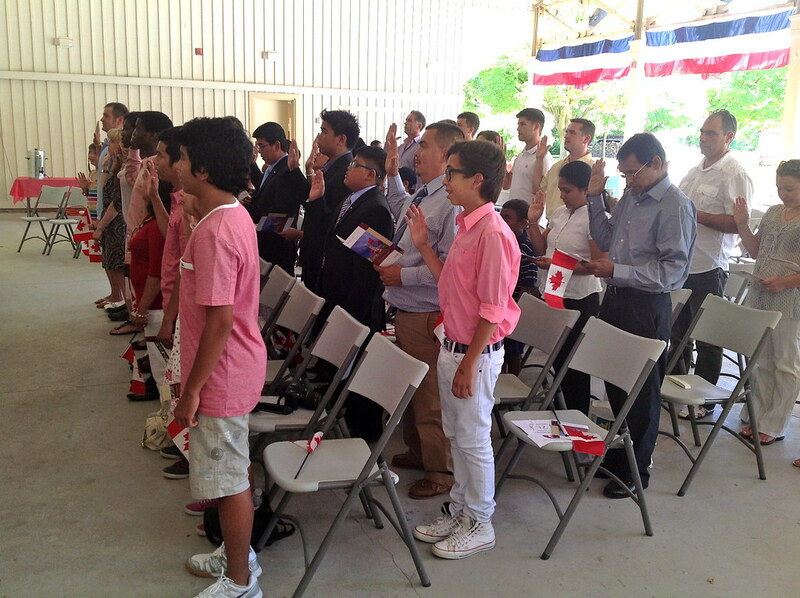 When applying for citizenship, it's vital to demonstrate an adequate knowledge of one of them. If you are between 18 and 54, you will have to present proof along with your application that you can speak and understand either English or French. Becoming a naturalized citizen is the main requirement for the issuing of a Canadian passport. If you meet all the requirements and become a citizen, your Canadian passport will open numerous doors for you. Especially when it comes to traveling to developed countries, previously impossible for you to visit without an entry visa. The Canadian Charter of Rights and Freedoms is part of the Canadian constitution, which was specifically amended in 1982. Mobility Rights – Canadians are free to live and work anywhere they wish in Canada; they can leave and enter the country any time they want, and apply for a passport. Official Language Rights and Minority Language Educational Rights – English and French have equal presence in Parliament and any branch of the government. Education in either language is available throughout the country. Multiculturalism – Canadians are especially proud that this is one of the main characteristics of the country. People try to live in harmony and respect pluralism. Equality between men and women – all are equal under the law. Spousal abuse and gender-based violence are severely punished under Canada's criminal laws. Obeying the law is a must for all citizens as it is for visitors. Taking care of oneself and one's family – in other words, the government wants you to find a respectable job and support your family. Serving on a jury – it's a citizen's duty to contribute to an impartial justice system when requested. Voting in elections – Canadian citizens can vote in federal, provincial, and local elections. Volunteering in the community – it may take many forms, but giving back to the community by donating your time to help others is a great way to make the most of your citizenship. Defend Canada – the country doesn't have a compulsory military service, but serving in the Canadian Forces (navy, army and air force) is noble and considered to be an excellent career choice. 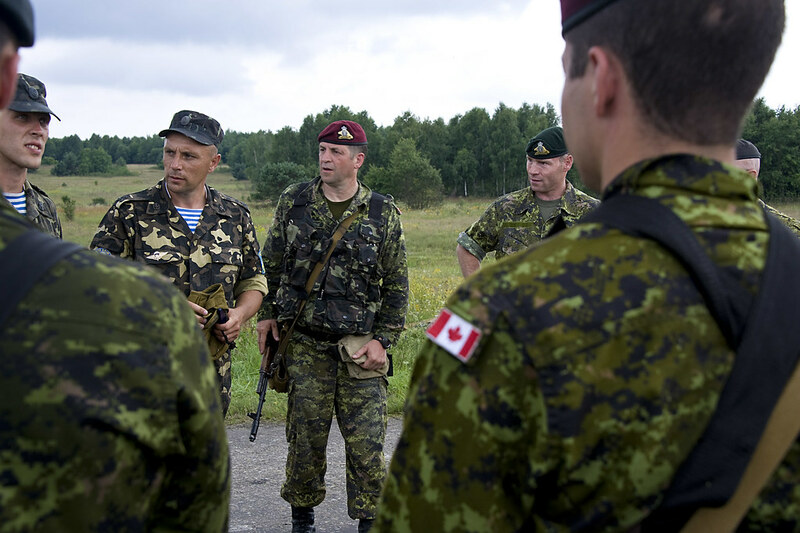 Canadian forces could very well become a career choice for some naturalized citizens. This has got to be one of the best advantages your Canadian passport can ensure. According to the Henley Visa Restrictions Index 2013, Canadians can visit 170 countries and territories without a visa, or obtain one upon arrival. It's good to know, however, that the Canadian government maintains a Travel Advice and Advisories Page. It provides valuable information in which countries you should exercise more caution; to which countries travel should be avoided altogether, and which are pretty safe overall. Depending on your country of origin, before you became a Canadian citizen you might have been restricted to enter most European Union countries. Or other developed countries that require an entry visa from the rest of the world. Canadian law allows you to have dual citizenship if you wish, so you can definitely use your Canadian passport for your travels without giving up your original passport. Since July 1, 2013, all new Canadian passports are issued as electronic passports or ePassports. They still look like the regular blue passport, but have reinforced safety features. An embedded electronic chip contains the traveler's personal information while a digital security feature proves that the passport was issued by the Government of Canada. New images in the inside pages also serve as extra security features. Most developed countries do not require tourist visa for Canadians, but some, such as Vietnam, do. France. As a Canadian citizen you don't need a tourist visa, if you plan to stay less than 90 days. If you prolong your stay, you'd have to obtain a long-stay or residency visa, but that's a pretty standard requirement. However, depending on your purpose for visiting, you will need a professional or student visa. Your Canadian passport must be valid for at least three months prior to your intended date of departure from France, or the Schengen area, which includes France. The United Kingdom. No visa is required fora stay up to 6 months long, but you'll need a business or student visa for work or studying. However, custom officials may ask you to show them a return ticket and a proof that you have sufficient funds for your stay. 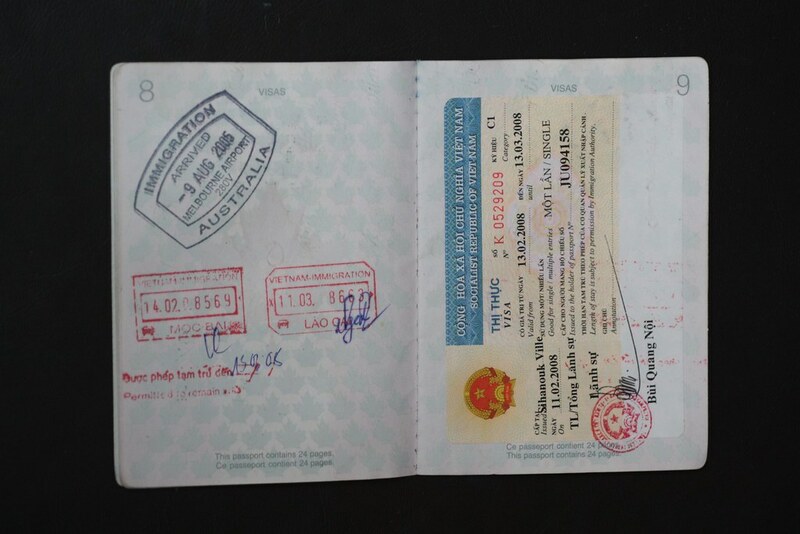 If you want to enter the country as a visitor, but the officials find on you items indicating you plan to seek employment (CV or educational certificates), you may be denied entry and be expelled from the country. If that has happened before, contact the British High Commission for entry clearance, even if visa is not normally required. Germany. Again, no tourist or business visa is required for stays up to 90 days, but you'll need a student visa if you intend to go to school. If you plan to stay in Germany longer than three months, you must register with the German authorities (Einwohnermeldeamt) within seven days of your entry into the country. The Germans won't allow you to extend your tourist visa longer than 90 days. If you want to stay, you'll have to apply for a residence permit and give them a good reason why are you staying. Visit the German Ministry of the Interior for more information. 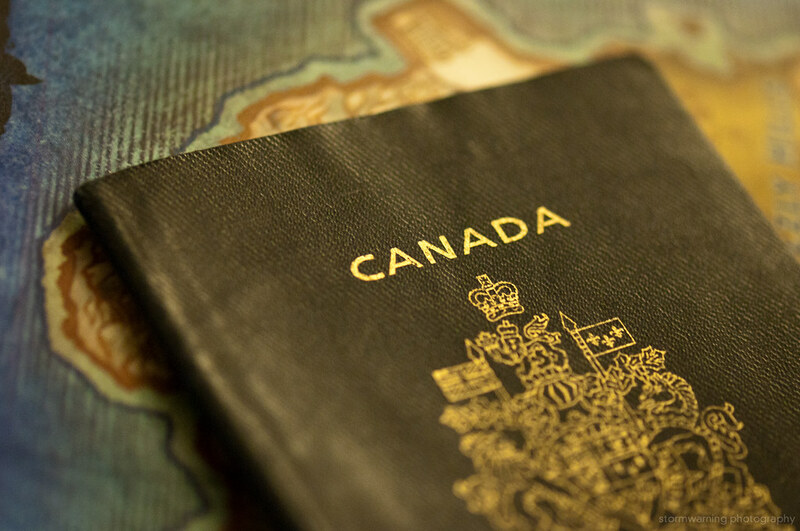 If you are about to become a Canadian citizen and be eligible for a Canadian passport, it's exciting to make travel plans to places you thought impossible to reach before. However, make sure you find all the available information about whether there are any restrictions to Canadians at your desired destination. It would be too much of a hassle to get there and find out that you should have obtained a visa to enter. Your Canadian passport can surely open a lot of doors for you, but it can't overcome border regulations each country has imposed for foreigners. But tell us, do you have a dream destination? Where would you like to go if you had a Canadian passport? Let us know in the comment section below; let us take part in your journey!